Deciding what water tank to buy can be a hard decision, especially for those who like to do some due diligence and research first. 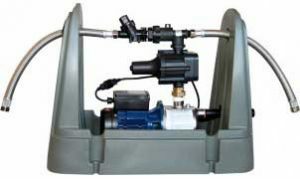 Add into the picture you will need the right water pump to deliver the necessary water pressure. Matters then become even more complicated when one considers a fuller solution such as rains-to-mains option for their rainwater supply. In previous articles we covered how to choose the right pump for the job and benefits of a rainwater to mains water switch. When buying a pump, there are a range of pump models and types to consider. Perhaps you are interested in a less noisy submersible water pump? Then other pumps come with a rain-to-mains system which automatically switch from your rainwater to your mains water supply when your tank becomes empty. This article aims to answer the question of whether you should just settle for a standard water pump, or upgrade to a pump with a system that can switch over to your mains water supply? How Will Rainwater Be Used? Provided you don’t live somewhere remote without access to a mains water supply, then what you choose ultimately comes down to how the rainwater in your tank will be used. Many people buy a water tank to harvest rainwater to be used in their swimming pools, gardens, washing the car, outdoor hosing and the like. In such cases, if you don’t have water in your tank, it is likely easy for you to just tap into your pre-existing mains water supply. Not having water in your tank won’t necessarily be detrimental. In these instances, selecting a standard pump without a fancy rains-to-mains system will do the job. You should however select a pump with dry-running protection – which basically means your pump can handle trying to pump water from an empty tank. Not all water pumps will have dry-running protection. If you will be plumbing your rainwater into your home, then you need to consider what you would do if the water in your tank ran dry. For example, what if someone flushes the toilet after using it to find no water is in the cistern? Or perhaps while washing clothes the washing machine starts beeping because it isn’t getting any water. Or, you have just lathered shampoo into your head, and then the water stops running. Such situations are obviously very inconvenient, and your only solution would be to manually fill your water tank up with water. Maybe running a hose from the mains water supply into your tank for a few hours. Unless having to manually fill your tank up with water on dry occasions appeals to you, then you should invest in a pump solution with rain-to-mains system. To make your decision easier, National Poly Industries have several tank packages suitable for either outdoor use in gardens and pools, or our Rains-to-Mains packages if you will be plumbing rainwater into your house.